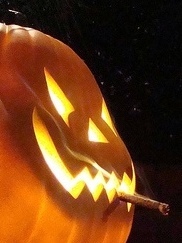 1) Happy Halloween from all of us at StogieGuys.com. While we can’t recommend a cigar to pair with all the Snickers and Sweet Tarts you’ll be choking down, we can suggest you take a look at our list of the top 15 cigar-friendly costumes. 5) Around the Blogs: Cigar Jack smokes a Trilogy Corojo. Keepers of the Flame lights up a La Herencia. Stogie Review lights up a Ramón Allones Specially Selected. Matt reviews a Toraño Casa Toraño. Velvet Cigar tries a Rocky Patel Autumn Collection. 6) Deal of the Week: After two enthusiastic reviews of the new Cuban Crafters Medina 1959, we were excited to see this deal. Boxes of all sizes of this highly-rated cigar are on sale. Plus, if you’re not ready to go for the whole box, a variety of five-packs are available. Grab yours here while the deal lasts.